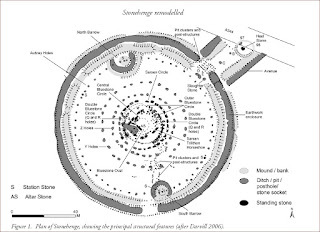 This is the best all feature plan of Stonehenge I have seen and I want to review several of the paper's findings using it over the next few days. The paper is behind a paywall so I have to publish the plan here to allow a meaningful review. The whole paper is of similar high quality and I would urge you to obtain a copy. The first thing I noticed is that it shows the position of the F,G and H holes which most plans don't. And that allows me to check the alignment of the Great Trilithon and Station Stone 93 and Hole H. An alignment that is also that of the mid-winter solstice sunrise and that I have written of before. 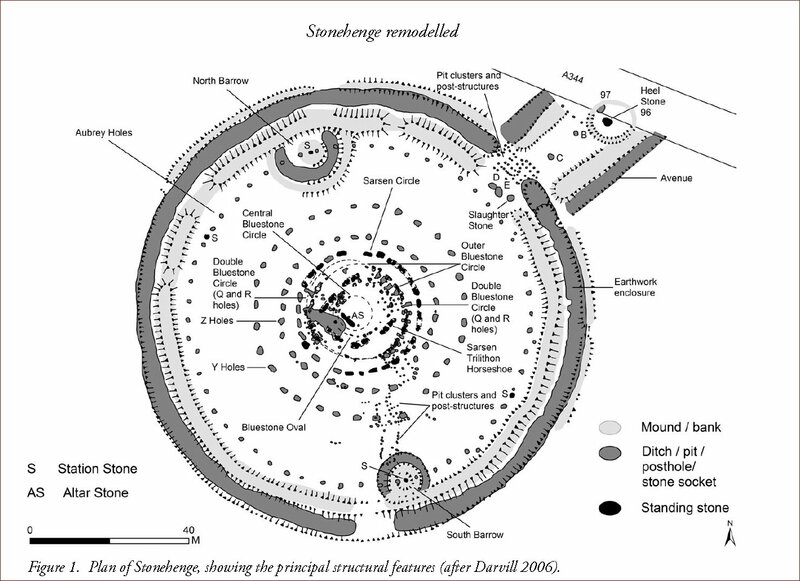 See: http://www.sarsen.org/2012/07/stonehenge-resurrection-alignment.html and my leaflet. Love the new map! Thanks for the Link. Personally, I prefer a base image with 4 or 5 sequential overlays. This prevents the enormous confusing associated with them all on one page. Independent of your work, I had also arrived at the 'SS-93 > Hole-H' Solstice idea. I now have your leaflet. Nice work. However, I'm not a fan of the contention that the Great Trilithon was arranged to reflect this alignment. Yes, Gowland fudged up the re-setting of S-56, but not by the amount that's mentioned. Hello Tim, Only had a quick look at this map but some of it looks inaccurate, the 2 central post holes 3364 and 3362 look out and so do the Southern entrance and South Barrow, I noticed this on other plans when I was doing the various reconstructions for Sh, there should be an almost exact alignment of the S. Entrance and the 2 lines of the post passage. I will look some more but I wouldn't use this plan. The map Daw provides is after Cleal, which is itself based upon the comprehensive 1919 survey. Painstakingly updated, it is widely considered to be the definitive reference. 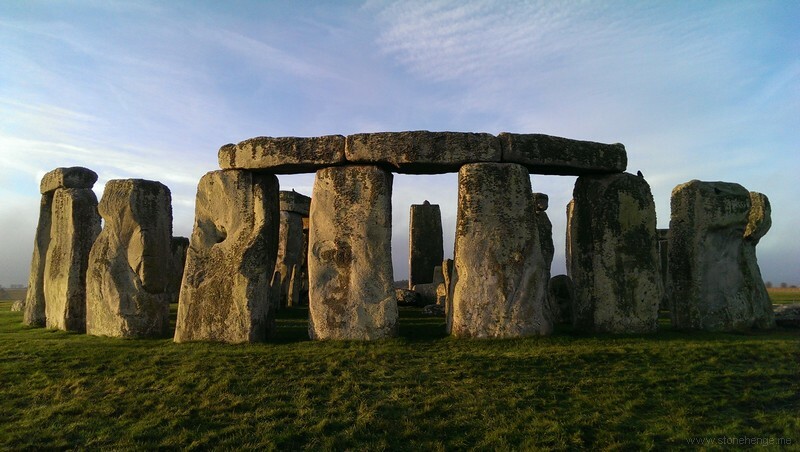 The Cardinals at Stonehenge are visually deceptive, and the South Entrance is 35/40 feet East of South, on center. Commonly overlooked is the Solstice Axis, which occurs at 51-degrees from North - not 45. North enters the Henge between Aubrey's 48 & 49, passes over fallen L-127, just touches S-60, thru the Center, then directly through the North Interior corner of S-54, to the East of fallen S-12 and exits at about Aubrey 21. East enters the Henge between Aubrey's 6 & 7, almost, but not quite hits the North side of S-4, passes thru the center, just kissing the South corner of S-57, to the South of fallen S-19, and exits between Aubrey's 34 & 35. The Center of the Henge is Not at the Altar Stone, but about 15 feet toward the Aperture. The South Barrow is named such as it is convenient to do so, as is the North Barrow. Tim's observation of the WS Rise-Line passing from SS-93 through S-56 is spot-on and has been long observed. What hasn't been mentioned is that this line occurs where the Solstice Axis, or Equator, passes directly through the center of the alignment between SS-91 & 92. All three lines intersect precisely, i.e. Equator & Sunrise bisect the Station Stone Alignment at the half-way point. Then the Sunrise sight-line moves past to hit Hole-H against the inner Henge Bank. Newall thought this Hole was from the roots of a bush, but perhaps it should be reviewed. In any case, and regardless of H, it is difficult to conjure a scenario where all this is co-incidental. Hello Tim, Thanks for the complement, not better than anyone but fairly well. Hello Neil, My point about the plan isn't a criticism I fully agree with Tim on the "Resurrection Alignment" of Stone 56, I think it follows other earlier features on a parallel setting, hence the importance of the 2 "Altar Stone" post holes. I don't think this plan comes from those in Cleal et al which I have used over many years as you have done as sequential overlays, which is how I noticed this rogue plan. Where the plan originates and how the mistakes I don't know but I saw the plan in John Norths book Sh. Neolithic Man and the Cosmos and used it as it is an "all" features plan until I noticed the inaccuracies, I think this plan is wrong rather than the majority of the ones in Cleal. The phases plans in Mike Parker Pearson's book are accurate and derived from cleal. It is easier to show if I send copies of the plans with my workings out, My email is pdpeterdunn@gmail.com if you want to see what I mean. Listen - don't get old! I wrote that little missive, hit the Send Button, then noticed it wasn't Roz Cleal's map! You will be hearing from me for copies of your work. Sorry for the confusion - I wasn't trying to 'Take You To School', as my son says. Gowland's Report on The Great Trilithon.